In a first since the formalization of diplomatic relations between the U.S. and Cuba, revolutionary Cuban representatives — Kenia Serrano, president of the Cuban Institute for Friendship with the Peoples (ICAP), and Leima Martinez, North American Division of ICAP — spoke in New York, New Jersey, Washington, D.C., and the California Bay Area. Serrano is also a parliamentarian in Cuba’s National Assembly. Throughout two weeks of exchanges, from Nov. 3-17, the Cuban representatives thanked the solidarity movement for its tireless work to win the freedom of the Cuban 5 — the anti-terrorist Cuban State Security agents unjustly imprisoned in the U.S. in 1998. Last Dec. 17, the final three men returned to Cuba, part of the agreement to renew formal diplomatic relations with Cuba, which had been broken by the U.S. in 1961. Especially recognized for their decades of fearless challenges to the U.S. ban on travel to Cuba were the Venceremos Brigade and the Friendshipment Caravans of the Interreligious Foundation for Community Organization, founded by the late Rev. Lucius Walker. Right off a plane from Miami on Nov. 4, Serrano and Martinez spoke to a class at John Jay College in New York. Then they met with social justice organizers at the historic site of the Hotel Theresa, location of the famous 1960 Harlem meeting between Fidel Castro and Malcolm X. Next was a packed public event in the Malcolm X and Dr. Betty Shabazz Memorial and Educational Center — formerly the Audubon Ballroom, where Malcolm X was killed. The next day, they discussed Cuba’s health care revolution at New Jersey’s Essex County College. 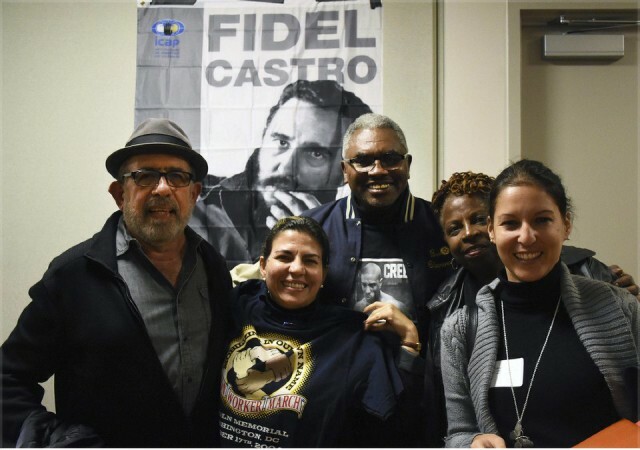 At the National Network on Cuba’s annual meeting in Washington on Nov. 7-8, the Cuban women interacted with organizations from Texas, Minnesota, Illinois and Michigan — places they could not visit on this trip. NNOC co-chairs received an ICAP flag with the image of Fidel Castro and a Certificate of Recognition for the work done by the NNOC to free the five Cuban Heroes. The University of the District of Columbia David A. Clarke School of Law co-sponsored a public meeting with the DC Metro Coalition in Solidarity with the Cuban Revolution and the NNOC. Students from the Maryland International Day School opened and closed the program with bilingual songs, spoken words of Cuban hero Jose Marti and dance. Packed meetings continued in the Bay Area, where historic support for the Cuban Revolution is strong. Seven U.S. graduates of Cuba’s Latin American School of Medicine met with the Cuban women they knew from their school days. But while formal diplomatic relations and bilateral discussions are taking place between the U.S. and Cuba, the economic, commercial and financial blockade is still in place. Cuba still cannot use U.S. dollars for foreign trade, making it impossible to pay for technology that Washington has approved for sale to Cuba. When trade is permitted for food, Cuba must pay with cash in advance and cannot use Cuban ships to transport the goods. Although the rhetoric of the bilateral discussions is positive, forces intent on defeating the Cuban revolution are still there. The U.S. budgets an average of $20 million per year for “regime change” programs that are opposed by the majority of the Cuban people. 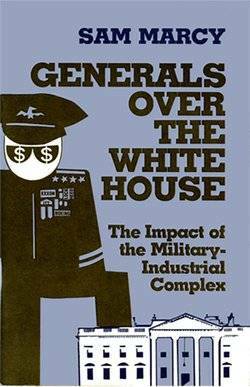 Guantanamo has been illegally occupied by the U.S. military for more than 100 years. The prison there should be closed and the territory returned to Cuba. Videos of most major events during the tour are posted on the National Network on Cuba website: NNOC.info/livestream.